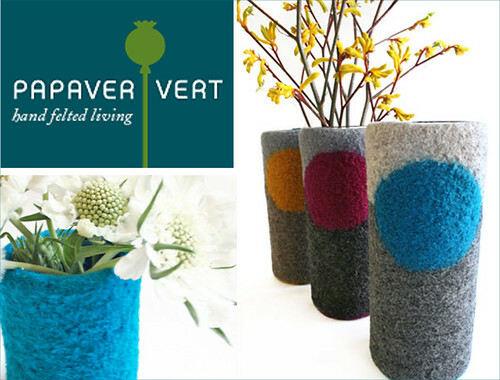 How sweet are these felted vases? So bright and colorful. I like their styling shots with the Forsythia. I’d love to get a fuschia bud vase and put some cherry blossom stalks in it. Or perhaps some bright yellow daffodils would look nice. For the winter I’d get a striped plant cozy and plant a succulent in it.